Flatspace IIk is the ultimate version of Flatspace so far. As well as all of the latest updates and features of Flatspace II, the game includes the ability to create or modify any of the items (weapons, cargo, upgrades) in the game universe. The ultimate objective in the game is to destroy an enemy race, the Scarrid, but the game is very open ended and gives the player the freedom to explore the universe and live in it in any way they would like to. There are many possible goals for the player. These include gaining money for new equipment and ships, proceeding up various ranks, or finding official game secrets. I wanted to create a space game that had the sense of wonderment and discovery that the early Rogue-like games, like Larn and Nethack, had on me when I first played those. Flatspace is more like an alternative life, or a universe simulation, than a game. The emphasis is on freedom of exploration, role-play in the true sense. Few games offer the experience and wonder of exploration, discovery, and excitement. In Flatspace you can have all three. Not only is a random and ever-changing universe created for you, you can customise your gameplay experience a lot, and change how you live within the game. You can trade and explore in an entirely peaceful universe, if you choose, or play space pirates, or cops and robbers. 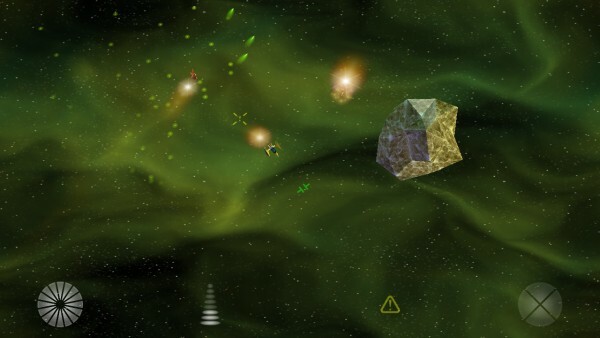 The first Flatspace game was released in December 2003, and Flatspace II was released in late 2005 after nearly two years of full-time development. Flatspace IIk was released in 2012, and is still being updated in 2019. Over the years, many incremental changes and balances have tweaked the gameplay. Like Nethack, the 80's game which influenced it, Flatspace is a highly crafted game with a rare long-term appeal that many players have enjoyed for over a decade.